In the past day, August 4, militants violated ceasefire 38 times across the zone of the Anti-Terrorist Operation. Three Ukrainian soldiers were wounded in action, according to the press center of the ATO Headquarters. After 18:00, militants increased the number of shellings of fortified positions of the Ukrainian forces in Luhansk and Donetsk directions. According to the headquarters, the industrial zone in Avdiyivka remains one of the major epicenters of confrontation. "Almost all night, the enemy fired at Ukrainian fortified positions from mortars, grenade launchers and small arms from all directions there. Our troops provided a tough response to the militants," the report said. This night, the positions of the Ukrainian army in the villages of Zaitseve, Kamenka, and Luhanske also came under enemy fire. And at about 23:00, one soldier was wounded in a shelling outside the village of Nevelske. 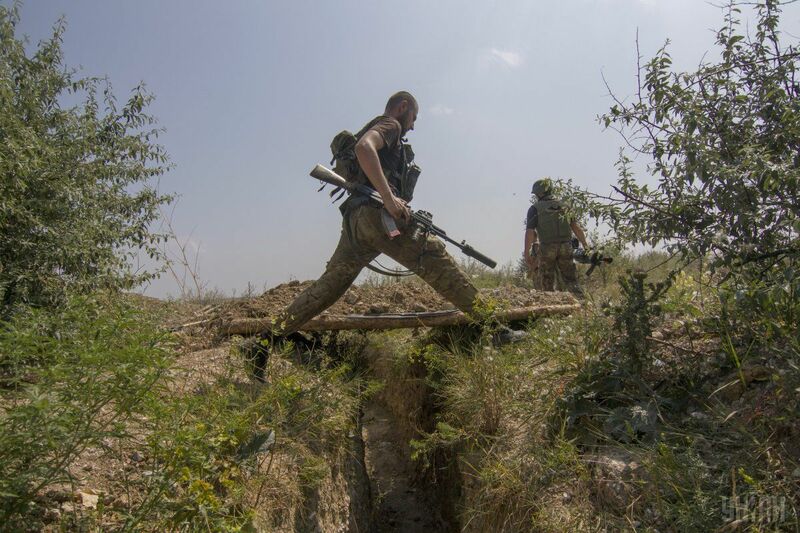 Read alsoMilitants shell Ukraine forces 21 times in last day – ATO HQOn the Luhansk line, the hottest spot was in the area of Novo-oleksandrivka, the headquarters reported. "Here at the end of the day the gangs opened fire five times on the strong points of the ATO forces using various weaponry. In addition, criminals used 82mm mortars near the Donets," the press service wrote. In the Mariupol direction the positions of the Ukrainian military in Lebedynske and Shyroke were shelled from enemy grenade launchers. And at about 23:00, another Ukrainian fighter suffered a fragmentation wound in a shelling.